Despite much of the attention regarding UFC 195, which took place last night (January 2, 2015) from the MGM Grand in Las Vegas, being centered on the highly anticipated main event, the co-main event featured a pivotal bout as well. 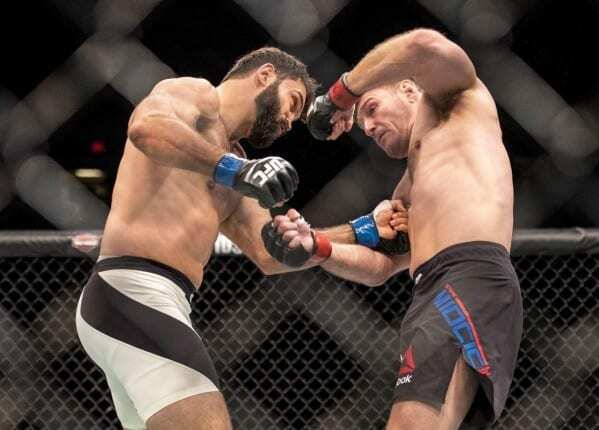 Streaking heavyweight contenders Stipe Miocic and Andrei Arlovski did battle in a scrap that could very well have deemed the next title challenger in the division. Knowing he needed to make a statement, Miocic came out firing, landing a huge shot early on and quickly putting “The Pitbull” away less than one minute into the fight. With a win over a former champion now added to his resume, the Croatian has quite the case for a title fight. NEXT: Video: Jon Jones Hits Mitts With More Power, But Less Speed?